It’s going to be hard to review the RTX 2060 without playing a little inside baseball first. So I’ll dispense with the pleasantries and get down to it: hyperbole be damned, this GPU has made me a PC gamer again. Don’t get me wrong, it’s never a thing that’s been far from my mind. I have a nice setup, but a modest PC for 2019’s requirements, and I’ve been meaning to upgrade some parts for ages, but such is the improvement the 2060 makes, I’ve already added a couple of SSDs and am now thinking about CPUs as well. Those of you who play PS4 Pro or Xbox One X games and prefer graphics mode to performance, are not going to like what I have to say next, but I’ll take 1080p and 60fps (or higher) over a 30fps 4K game any day. I appreciate the work that’s gone into the higher resolution textures, but there are some games that just have an almost unquantifiably better feel when you get that crisper, smoother frame rate. The 2060, though, is capable of both. You might not push 4K 60fps on many games (frankly, to do so you’ll need the 2080 and about £800 extra in the bank to spend), but you can get 1440 and 60 quite comfortably, thus a higher resolution than offered elsewhere with the frame rate you (or I, at least) desire. The 2060 can do 4K, it’s worth saying, but you’re not going to always get the best performance: it’ll vary from sub-30 all the way up to 60fps, but it depends on the game, of course. It may look boring from the top, but the blue glow when it’s switched on makes it look great. Anthem did it for me. Not a great game (sometimes not even a good one), but it does look spectacular (which you can see in our video review), and runs so well on the 2060 that after trying the Xbox One X version, I realised I just couldn’t go back to half the frame rate on console for that one. Metro Exodus, though, blew the cobwebs out of my “I can’t be bothered with PC gaming” brain in terms of how it looks. Metro Exodus looks incredible with the 2060. A more solid frame rate than I was expecting, and while the game itself isn’t my cup of tea, it’s hard not to be impressed with the visual fidelity on offer. It also gives us a chance to look at the much lauded Ray Tracing. I won’t lie, Metro Exodus has some of the most impressive lighting outside of a DICE-developed game I’ve seen (as can be seen in our video review). But on the other hand, turning the RTX’s Ray Tracing effects off don’t make it a tremendously different affair. It’s hard to know if you’re tricking yourself into believing it makes it better, or if it really does, and if the difference is that difficult to discern it makes Ray Tracing, on the whole, a difficult selling point. Then again, this is tech in its infancy, and the price of the RTX 2060 and the potential of what devs can, or might do, with Ray Tracing, is tantalising. At this point I’m not in the “this is the new TressFX” camp, but I’m also cautiously optimistic rather than blown away. You won’t get VGA here, but you can still connect an old monitor using a converter. But back to the original statement, it has made me a PC gamer again because whatever new games are coming, I’m thinking of the PC version as the one to play. The Division 2? PC please. Devil May Cry 5? Yep. Trials Rising? Well, I’m playing PS4 because that’s what we were sent at the site, but… well, you get the point. Moreover, the upgrade to the GPU in my PC has made video editing easier, quicker, and more responsive, and I won’t be going back to my dusty old 970 which, sure, has done me proud for the best part of five years, but just isn’t going to cut it any more. The best thing about the 2060, mind you, is the price. Whatever you may think of the NVIDIA range, the highest end cards are ridiculously expensive. The PNY 2060 XLR8 can be grabbed for under £350 on Amazon (UK), and you can’t buy a better card for that price right now. If you’ve money burning a hole in your pocket and just absolutely must have 4K 60fps, then fine, the 2080 might be the better choice – but even then, that top-end performance/fidelity isn’t a guarantee. So yes, it’s made me a PC gamer again, which I thought was something beyond me. The form factor is sleek and looks great in a tower, it’s silent, and despite the modern trend of cutting VGA from the back, there’re three slots that are enough to power a three-screen setup (even in a strange setup like mine it worked beautifully). 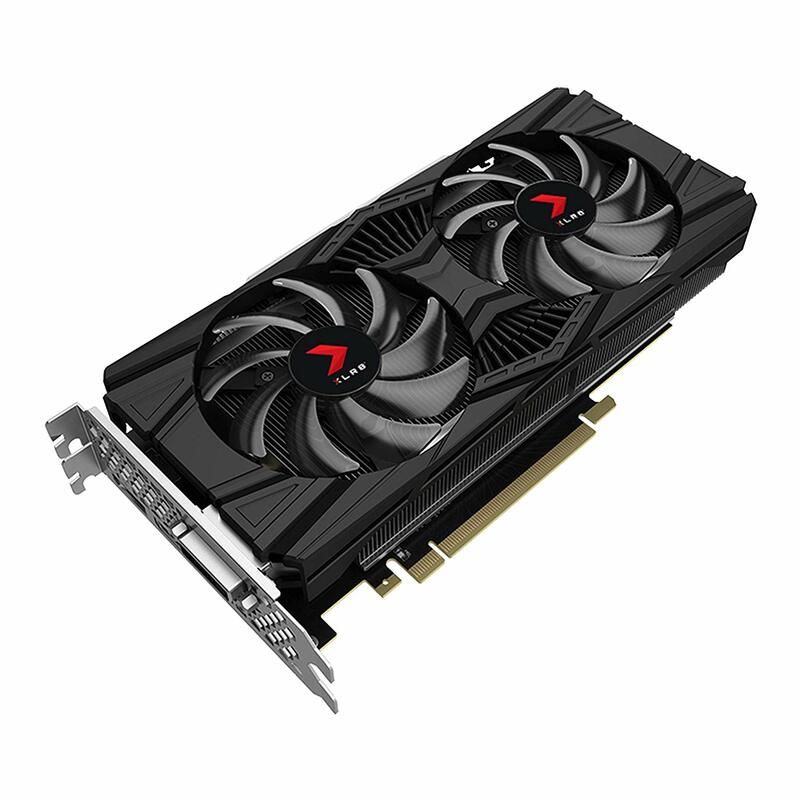 The new 1660 Ti is something I’d like to test as competition for it, but right now, for the price, performance, and sheer wow factor, if you’re looking for an upgrade, the 2060 has to be on the list. This is a future proof card that knocks it out of the park with both price and performance. Incredible stuff. 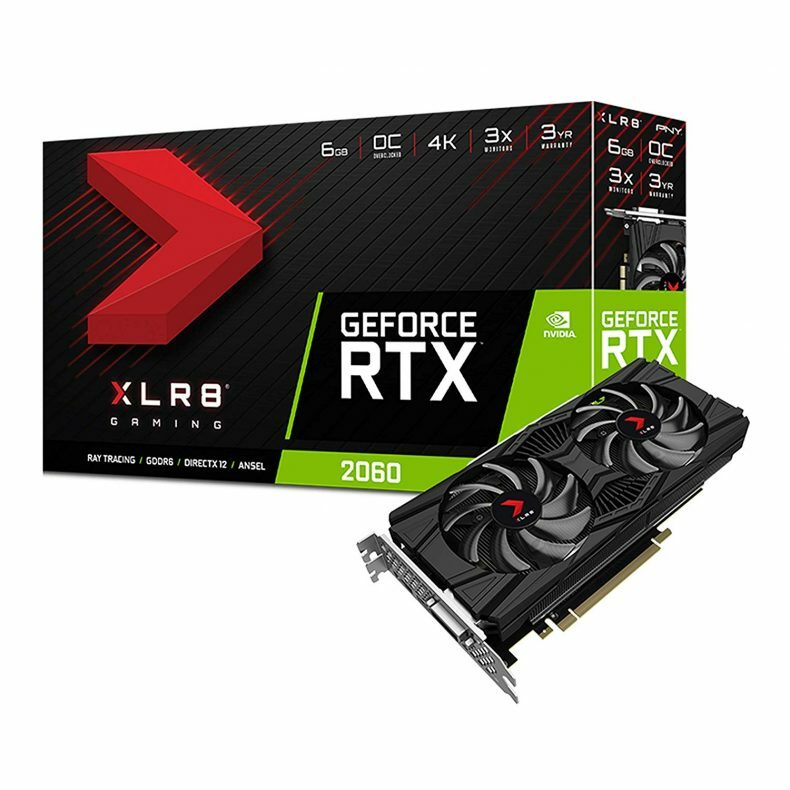 If you do choose to buy the RTX 2060, using this link helps support our site. I never thought a GPU would come along that would be this affordable but also make such a difference. The RTX is the best in class for its price range. Bravo.